A guided yoga adventure is a wonderful way to travel somewhere you wouldn’t normally go alone. Our yoga journey allows you to take part in yoga, meditation and adventure in extraordinary locations. The philosophy of each trip is about finding yourself in locations that are inspiring and transformational. Each tour is tailored around specific destinations, so they are fresh and evolving. This leaves plenty of time for adventure! Some locations in India are a carnival of colour and wild experiences, whilst others will provide a quiet journey for nourishment and relaxation. En route there will be regular opportunities to see different cultures, and live in the moment. This journey is about developing self awareness and embracing the dynamic world of far off places. Guided yoga trips are a great opportunity to visit somewhere you wouldn’t go alone, while still having the support from people you trust. Day 1: Delhi – Arrive and acclimatize to the hectic vibrancy of the capital city! 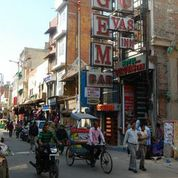 Stay in the heart of Delhi and visit the Main Bazaar. Shop for pashmina scarves, silver jewellery and hand-made sandles. Eat at one of the famous ‘pure vege’ restaurants: cheap, cheerful and delicious! Day 2: Haridwar – The relaxing morning trip by train to Haridwar takes about 5 hours. This journey gives us the opportunity to see the rural beauty of Northern India. The en suite rooms at the guest house are spacious and the staff are friendly. After lunch, we will visit Birla Ghat and put a leaf boat offering in the river. This journey allows us to experience real yoga. 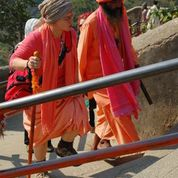 DAY 3: Mansa Devi Mandir – Haridwar We will do yoga in the morning then head up to Mansa Devi temple by foot. 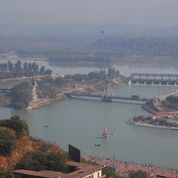 This famous temple overlooks the whole of Haridwar and the views are amazing. This temple sells heavenly perfumes and beautiful jewelled malas. We will come down by cable car which gives great views on the way down. Then, we will explore the main bazaar for pearl and crystal necklaces, sacred bling, and music cds etc. Followed by a visit to Maya Devi Mandir – a wish-fulfilling temple. In the evening we will visit Harkipuri Ghat. 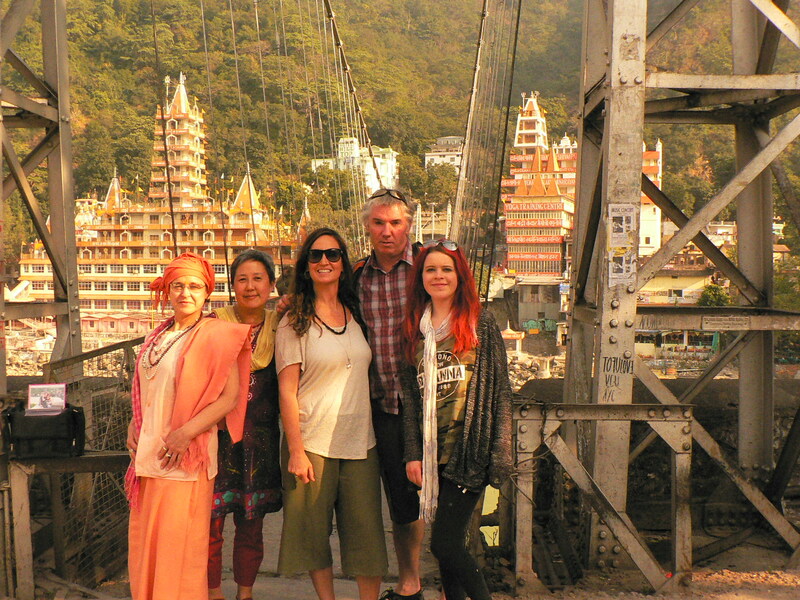 Day 4: Rishikesh After morning yoga we will explore the wonderful town of Rishikesh! On this visit we will shop for yoga gear, catch up on emails, buy exquisite jewellery, get a massage, or eat great food. Then we will wander down to Ram Jula, sit by the Ganga on the white-silver sands and absorb the divine setting. Day 5 – Adventure! 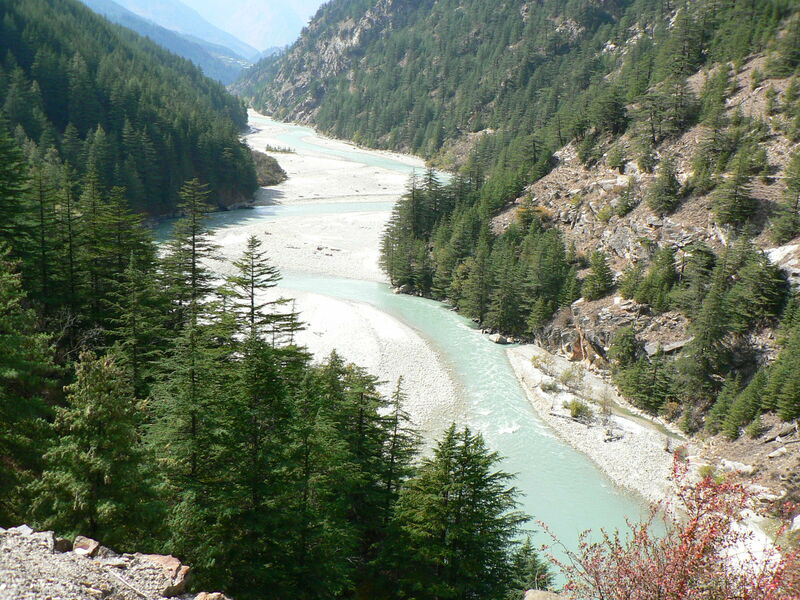 We will go on a day’s adventure up to the stunning wilderness beyond Rishikesh. This is a day to be remembered, such a beautiful adventure! 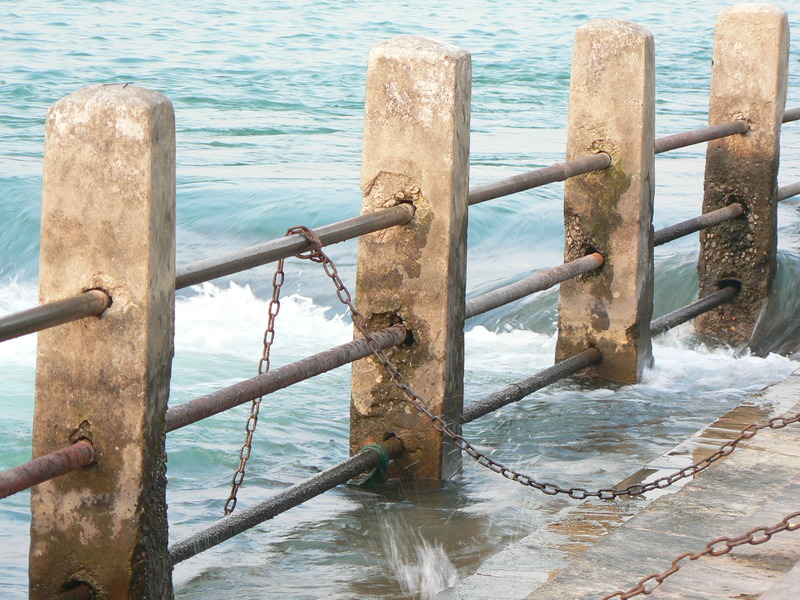 Day 6: Your choice – relax in Haridwar or come on another amazing adventure! Ali’ teacher will be our intrepid guide on another wild adventure. We will visit the stunning Kali Caves and stop into the local temple of Neelkund. Day 7: Haridwar – Morning yoga and a visit to the river will be followed by a day to finalise shopping, packing, looking around and saying farewell to some warm generous people. In the evening will take part in the aarti at the temple, or visit Harikipuri Ghat, a vibrant place of international pilgrimage. 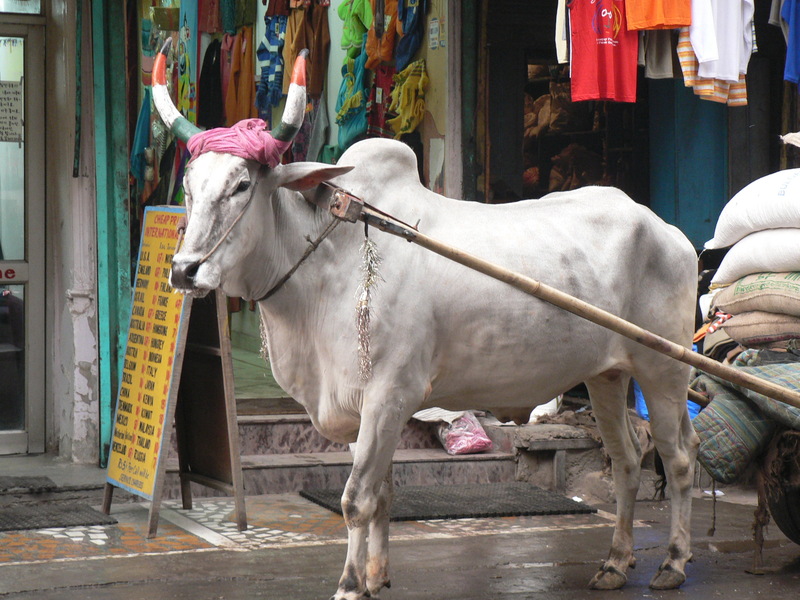 Day 8-13: Varanasi – Join us on the next leg of the journey to Varanasi one of the oldest cities in the world. We will spend 6 days exploring this wonderful town and going to local Buddhist town of Saranath. ACCOMMODATED TRIP: Cost $1890 includes room accommodation, train tickets, and airport transfer from Delhi International Airport to our hotel in central Delhi. It also includes the organisation of trip itinerary, local transport costs, light breakfast and full lunch daily, yoga, meditation, expert local knowledge, and any small donations. The director of Sadhana Yoga, Ali Hale Tilley, is a highly experienced yoga teacher and tour guide who will lead you on yogic adventures that nourish mind and body, deepening your life experience.